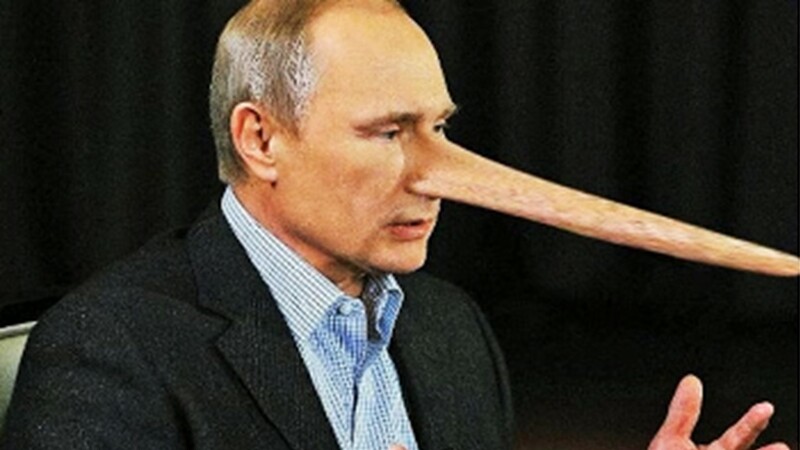 Russian leader Vladiliar Sputum gave a short, candid, on-air interview with CNN's Russia correspondent Roger Thekat today. Thekat started with a question about the election process that has seen Sputum re-elected President three times in open elections over the last twenty years. "Mr Sputum, how do you explain your continuing landslide popularity over so many years, when so many national leaders have come and gone?" Responding through his interpreter, Igor Propagandic, Sputum responded, by reference to a copy of the voting form used in the 2016 Presidential elections. "Eet ees very simple. On thees form, there ees two boxes and people get to teek one of them. The first one, eet says 'Vladiliar Sputum, heroic national grizzly bear bare chest fighting champion'. The second, eet says 'Twelve months for you and your family een Siberian Labour Camp, first class accommodation'. Most people, they teek the first box, I am veree popular man." Thekat suggested that this didn't seem a particularly fair system, to which Sputum replied, "I deny everything. I deny thees form exists. Or labour camps een Siberia. Een any case, you Amereecans, you have your so-called free elections. And what deed you get, you got the candidate I wanted, Meester Donald Trump. I paid a lot of rubles to make that happen and I even voted for heem myself." Asked to explain what he meant by his last comment, Sputum was quick to defend his position. "I deny I just said that. These are fake lies news, Mr Trump gets them too. You need to get your hearing feexed." At that point Sputum called an immediate halt to the interview and walked offstage. Propagandic explained, "Mr Sputum has another urgent engagement. He has to present two National Hero Awards for Exceptional Achievements Een Salisbury UK. Thank you very much." Requests to complete the interview by CNN have so far been ignored.